It appears from under the posterior border of the sternocleidomastoid muscle, near the middle of the muscle, and loops all around the sternocleidomastoid in order to cross its anterior surface in a transverse direction. It continues through the neck and supplies cutaneous nerve supply to this area. 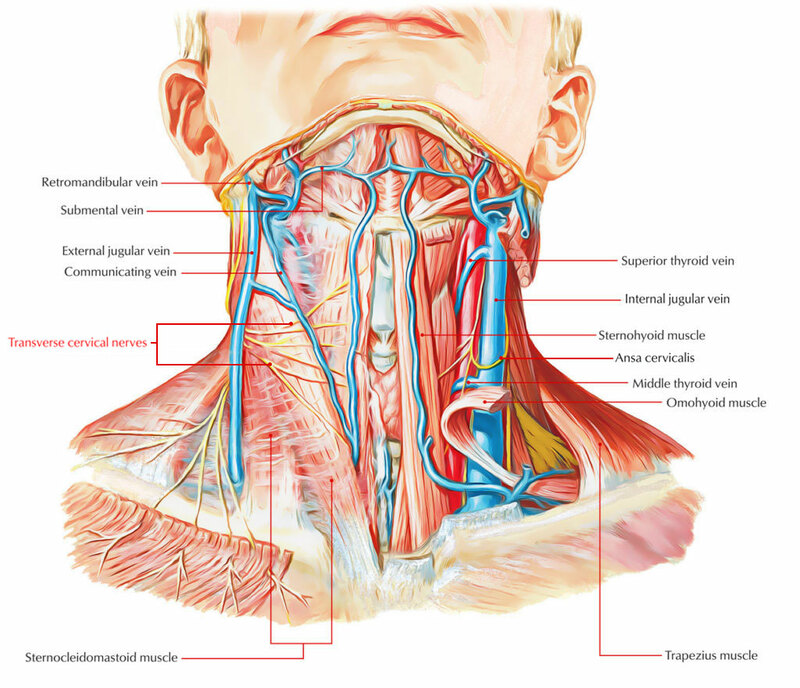 The superior (or ascending) branches proceed to the submaxillary region and ultimately create a plexus with the cervical branch of the facial nerve deep towards the platysma muscle. Other superior branches penetrate the platysma muscle and are circulated to the skin together with the upper and anterior surface of the neck. The inferior (or descending) branches perforate the platysma muscle and are dispersed towards the skin over the anterior and lateral parts of the neck inferiorly till the sternum.